There are some great vegetarian and vegan Thanksgiving options out there, but many people turn their noses up at meat “substitutes” such as tofu and seitan. Although making a meal out of veggie side dishes is an option, we’d like to offer another option: cassoulet, a delicious and filling veggie main course that vegetarians and omnivores can both dig into. 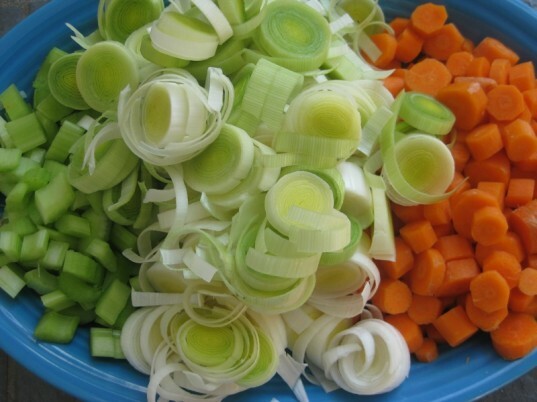 With French roots, this one-pot dish includes a classic mirepoix - a tasty mix of carrots, leeks, and celery. I added some diced potatoes since it’s a favorite veggie for kids. 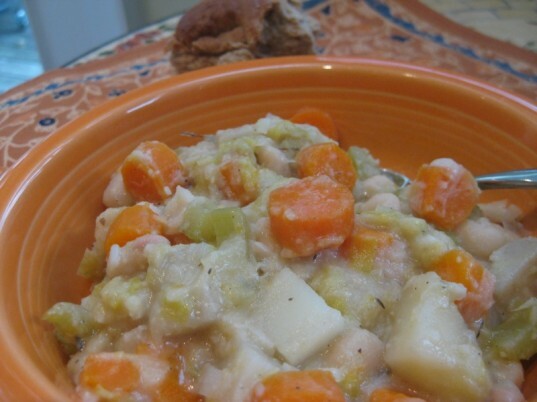 The whole dish is great for all ages - even my 1 year old could eat the tender veggies. Oh, and did we mention it’s great with those little rolls that find their way to every dinner table on Thanksgiving? Heat 1/4 cup olive oil over medium heat in a large soup pot. Add all the veggies, 5 cloves of chopped garlic, 1 1/2 tsp dried thyme, 1 bay leaf, 1/2 tsp of salt, and 1/2 tsp to 3/4 tsp freshly ground black pepper. Mix to ensure that all the veggies are well covered with olive oil. Stir regularly to keep veggies from sticking to the pot. Partially cover the pot and let cook until the leeks become golden and the other veggies start to soften, about 15 minutes. 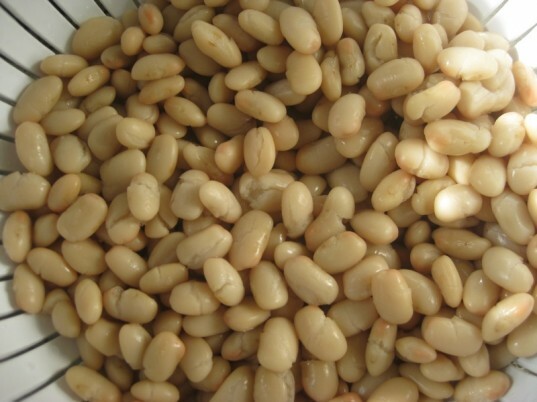 Add 2 cans of drained and washed cannellini beans and a quart of water and cover again partially. Bring the heat up a bit so that the mixture comes to a simmer. Let simmer for 25-30 minutes until the vegetables are tender. 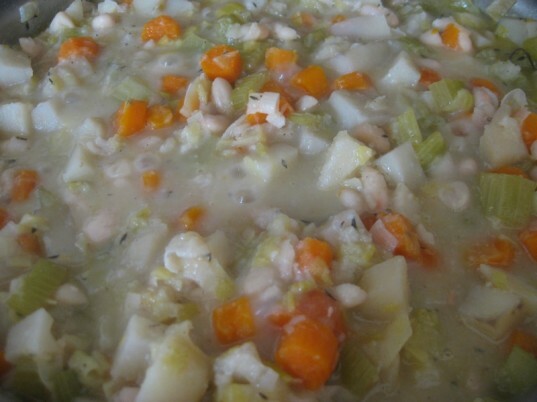 The cassoulet should have a consistency similar to a soup or a stew, with less liquid (kind of like the filling to a pot pie). Taste, adding up to another 1/2 tsp salt. Discard bay leaf. 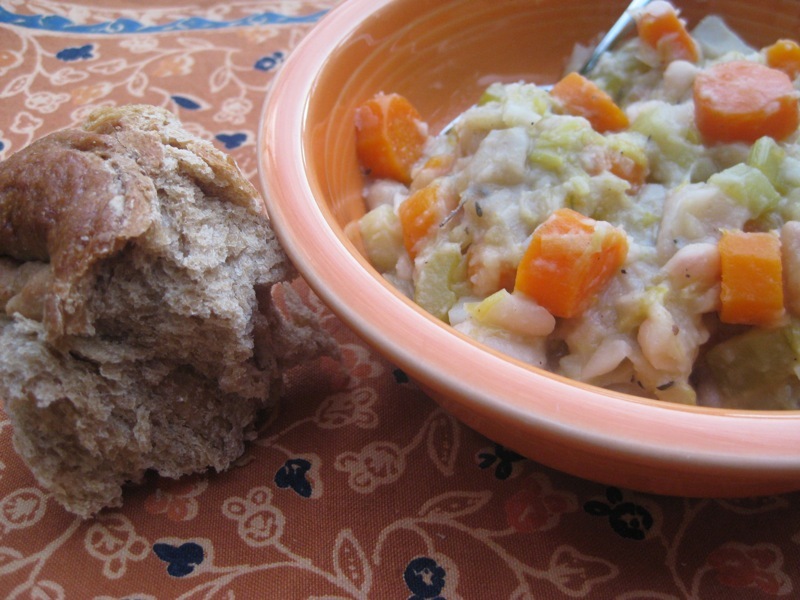 Serve warm with bread or rolls to sop up the cassoulet. If it isn’t a veggie Thanksgiving at your house without some faux meats, dice some vegan sausages and brown them. Add to cassoulet just before serving so that they don’t get too mushy. 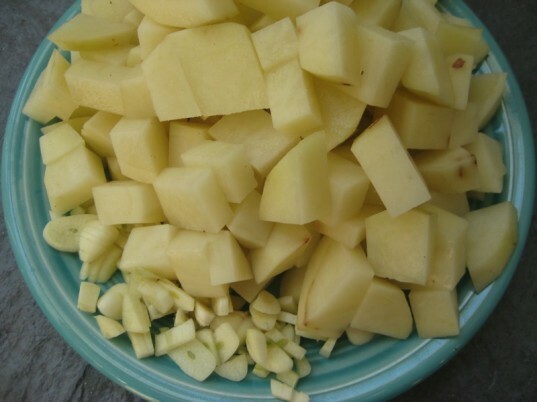 3 cups potatoes, cut into a small dice (potatoes should be peeled before cutting) 5 garlic cloves, chopped Heat 1/4 cup olive oil over medium heat in a large soup pot. Add all the veggies, 5 cloves of chopped garlic, 1 1/2 tsp dried thyme, 1 bay leaf, 1/2 tsp of salt, and 1/2 tsp to 3/4 tsp freshly ground black pepper. Mix to ensure that all the veggies are well covered with olive oil. Stir regularly to keep veggies from sticking to the pot. Partially cover the pot and let cook until the leeks become golden and the other veggies start to soften, about 15 minutes. 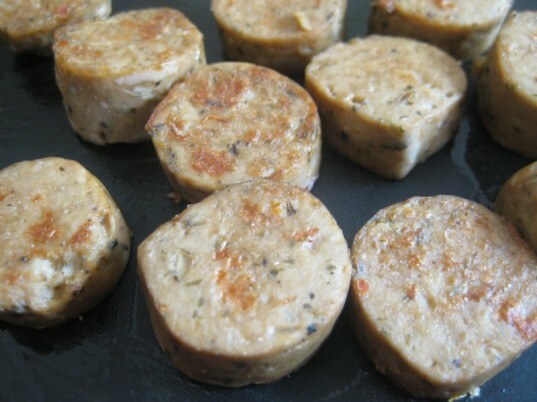 If it isn't a veggie Thanksgiving at your house without some faux meats, dice some vegan sausages and brown them. Add to cassoulet just before serving so that they don't get too mushy. Happy eating!